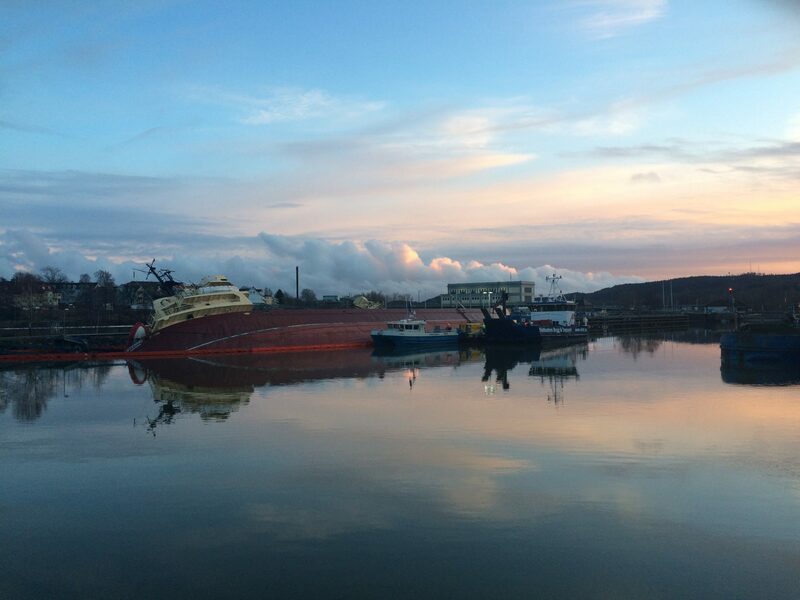 LILLA EDET, Sweden (22 March 2017) – Ardent salvage crews successfully parbuckled the M/V Sternö in order to right and refloat the cargo vessel. The vessel was loaded with 1,400 tons of grain when it suffered a collision, and rested on a jetty structure with a 54-degree list. Ardent crews were mobilized in late Feb. 2017, completed the operation, and delivered the vessel on Mar 22. “We mobilized salvage crafts and equipment, and connected three strand jacks to bollards on the opposite side of the river to parbuckle the vessel,” said Johan Foks, Ardent Salvage Master. “There were a lot of elements that we had to battle. The icy weather and the traffic on an active ship channel were big considerations,” said Foks. “The parbuckle operation corrected the list to 11 degrees, and then we lightered the cargo for the refloating operation,” said Rob Rutten Ardent’s Naval Architect for the M/V Sternö. “Once we pumped the water out of the engine room and holds, the vessel refloated and was stabilized at a four degree list. 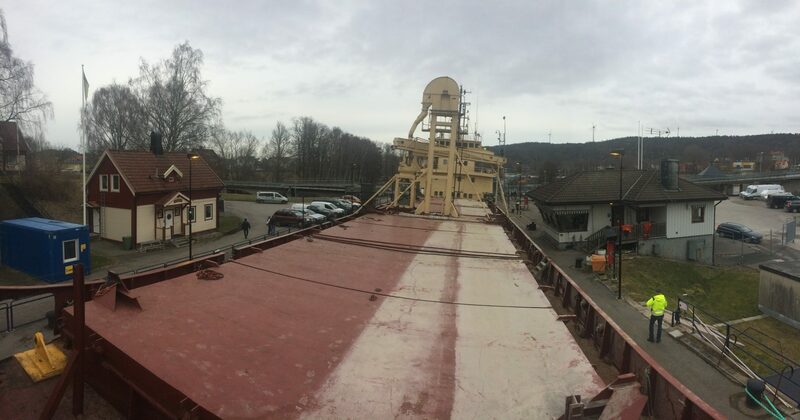 We maneuvered the vessel through the locks and moored it quay-side for remaining cargo discharge. The vessel was at a two degree list once we were finished,” said Rutten. 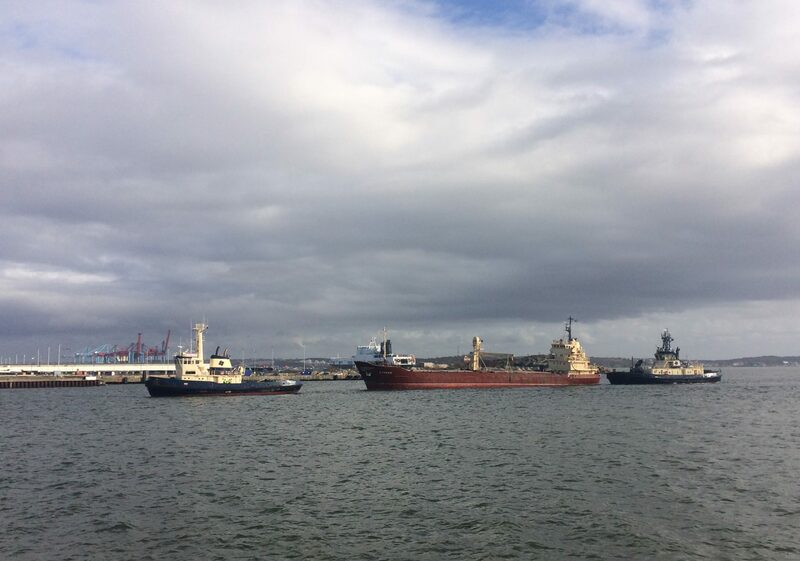 By the Mar 22, the vessel was towed by the Svitzer Bob and Svitzer Bonden from Lila Edet to Gothenberg, Sweden. Ardent simultaneously refloated the M/V Skagern with a separate team, 7.5km upstream from the M/V Sternö on the river Göta älv on Mar 9. 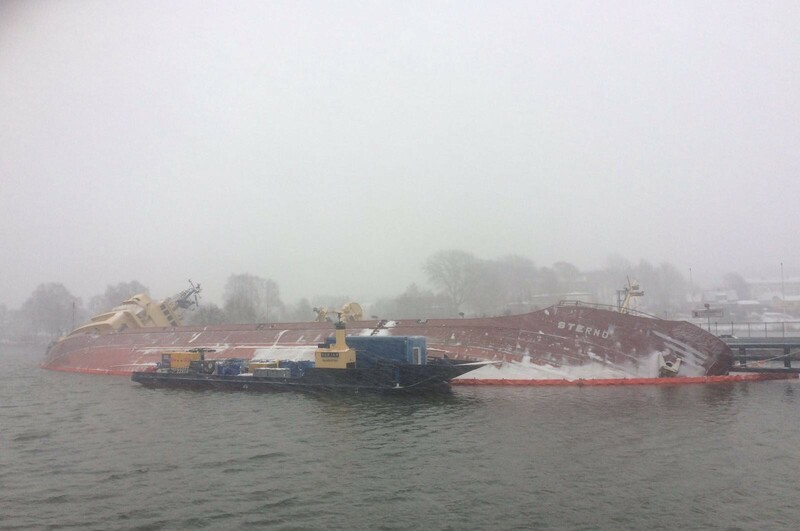 LILLA EDET, Sweden (24 Feb 2017) – Ardent salvage crews successfully used a parbuckling method to right and refloat the cargo vessel, M/V Sternö. The vessel was resting with a 54-degree list with water ingress. “There were a lot of elements that we had to battle. The icy weather, the traffic on an active ship channel, and making sure that we did all that we could to mitigate pollution risks, since the local community’s water source intake was less than 200m away from the operations site,” said Johan Foks, Ardent Salvage Master. LILLA EDET, Sweden (27 Feb 2017) – Ardent salvage crews prepare to parbuckle the M/V Sternö. By Mar 22, Ardent salvage crews successfully completed the operation and delivered the cargo vessel. LILLA EDET, Sweden (11 Mar 2017) – Ardent salvage crews parbuckled the M/V Sterno to an 11-degree list, and commenced lightering operations. LILLA EDET, Sweden (20 Mar 2017) – Ardent salvage crews successfully parbuckled and refloated the M/V Sterno. “Once we pumped the water out of the engine room and holds, the vessel was refloated and stabilized at a four degree list. We maneuvered the vessel through the locks and moored it quay-side for remaining cargo discharge. The vessel was at a two degree list once we were finished,” said Rutten. LILLA EDET, Sweden (22 Mar 2017) – The Storno delivered by the Svitzer Bob and Svitzer Bonden from Lila Edet to Gothenberg, Sweden.